Koh Lanta's weather follows a strange pattern and should be taken into consideration for the timing of your visit to the beautiful island. While you can still get to Koh Lanta by ferry during the wet season, you'll find a very limited number of bungalows and restaurants still open. Bad weather can shut down or make the ferry schedule unpredictable, forcing a stay in Krabi, the port town. 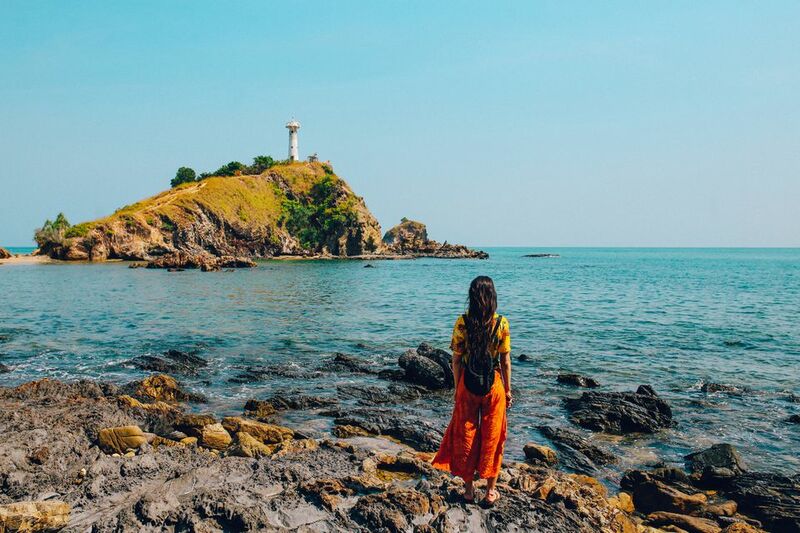 Regardless, the small trickle of travelers who visit Koh Lanta during the offseason are rewarded with long stretches of beach to themselves and the serenity of an island nearly void of tourists. The weather for Koh Lanta can be summed up with one word: unpredictable. Although the island practically shuts down around the end of April each year, you may enjoy weeks at a time with no rain. Even when the monsoon winds do bring rain, an hour or two of rain only makes the island humid -- life goes on. Later into the rainy season, big storms occur more and more frequently until they actually become damaging. Power outages are common, and activities such as scuba diving and boat trips frequently get rescheduled. The driest and busiest months on Koh Lanta are between November and April. December, January, and February are peak months for ideal weather. Average temperatures are pleasantly in the mid-80s in November and December, but then climb progressively to a scorching 103 degrees Fahrenheit or more in late April. Luckily, a constant breeze will keep you cool as long as you remain close to the sea. Even during the high season, Koh Lanta is not nearly as busy as the neighboring islands of Phuket or Koh Phi Phi. Rather than calling it the "rainy season" or "monsoon season," island residents simply refer to the rainy time of year as the "green season." The green season officially begins on May 1, although Mother Nature does as she wants. May and June bring showers, however, the rain typically slacks off in July and August slightly, then returns with force in September and October before slowing down again in November for the new tourist season to begin in Thailand. October is often the rainiest month on Koh Lanta. The seasons are constantly in flux and depend on the arrival of southwest monsoon winds that affect weather in all parts of Southeast Asia. Even if you visit Koh Lanta during the green season, you'll still enjoy consecutive days -- perhaps longer -- of sunshine with little to no rain. The regular boat service to Koh Lanta stops running around the end of April, however, you can still easily get to the island. While there will always be at least a few businesses still open, you will have a much more limited range of choices for eating and sleeping on Koh Lanta during the low season. Beachside bars and restaurants mostly close up for the year. Even the bamboo beach furniture is stacked and destroyed by strong winds; new beach platforms and huts are constructed every season! The best thing about visiting Koh Lanta during the low season -- aside from having beaches to yourself -- is greatly reduced prices for accommodation and activities. You'll find the few accommodation choices still in operation willing to negotiate rates and throw in extras such as air conditioning. Tourist services such as motorbike rentals -- very useful for getting around the island to find what is still open -- are literally half price. Although you will have beaches more or less to yourself, rubbish -- both natural and man-made trash -- accumulates on some beaches more than usual. There is simply less incentive for businesses to keep the beaches clean for tourists.